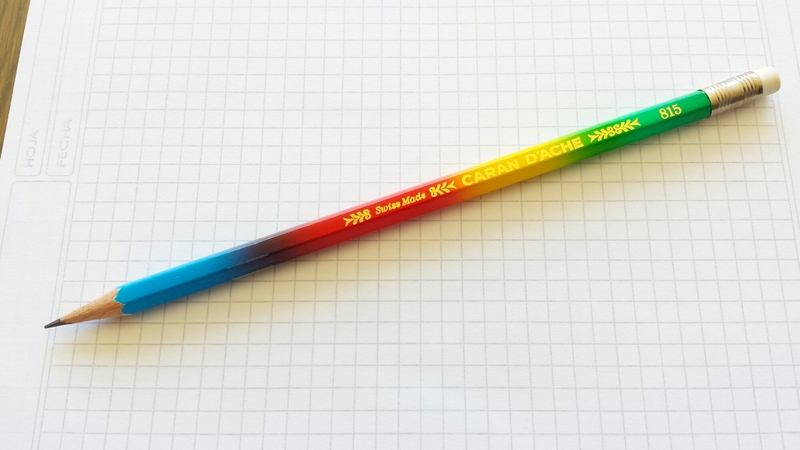 I went through my stationery hoard for some spring cleaning today, and decided to break out this cheerful Caran d’Ache rainbow pencil. Thank you M. La Plume! I also decided to ink one of the pens I’d been saving for later. This yellow Safari was calling to me from the rotating stand next to the cashier, and as soon as I recovered from the initial shock, I decided to get it as my one and only symbolic Safari. 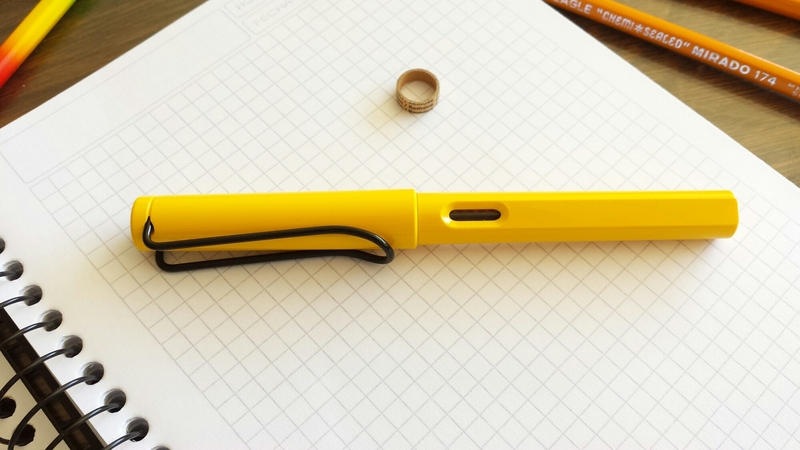 This canary-yellow version with the black clip happens to have been the one often spotted in the hands of Korean celebrities way back when, and no doubt did its bit for the analogue boom. I opted for the proprietary cartridge this time, but that only served to remind me why I hate using cartridges. 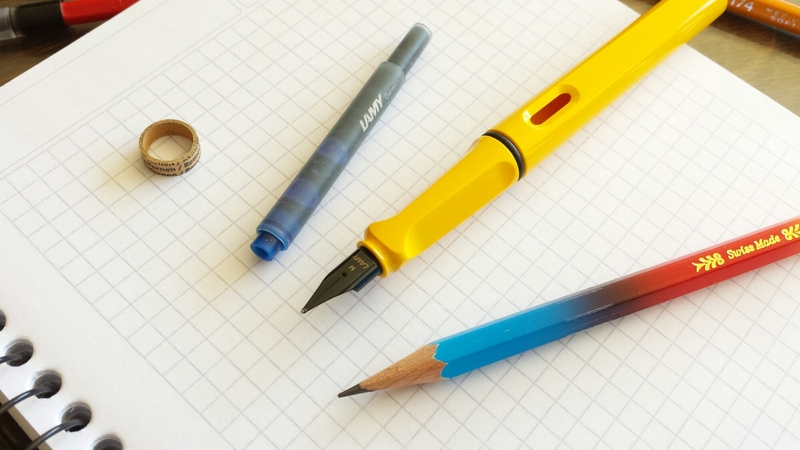 The ink takes forever to reach the nib! 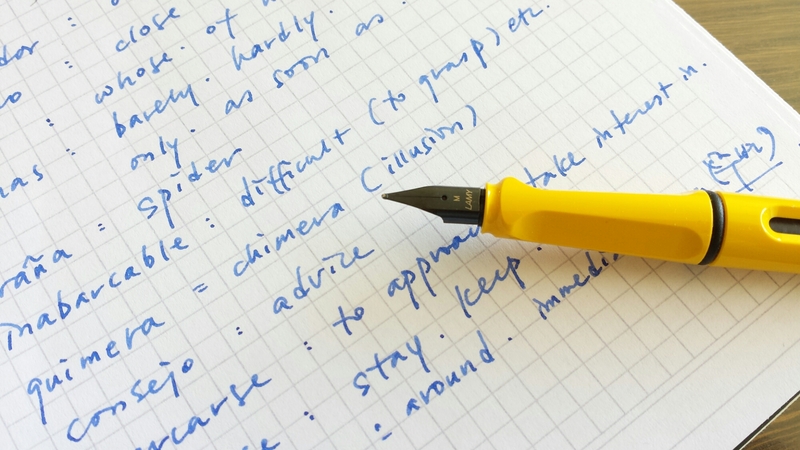 I had to dip the nib in a little Staedtler blue to coax it out.